After the death of the debtor his debt by law passes to the heirs. However, do not always know beforehand who exactly will inherit the deceased for and where to look for these people. Themselves the heirs are not in a hurry to reveal himself to the creditors, however, often they do not know about the credits of their testator. In this case, the heirs have to find. All the information on the crown opened the case, including about announced heirs, you can obtain a notary. The search for the heirs through a notary it makes sense to start 6 months after the death of the debtor. Contact the notary at the place of opening the inheritance. You need the notary is determined by the place of residence (registration) of a deceased testator. In either the manual please specify which of the notaries serving the specified area section. 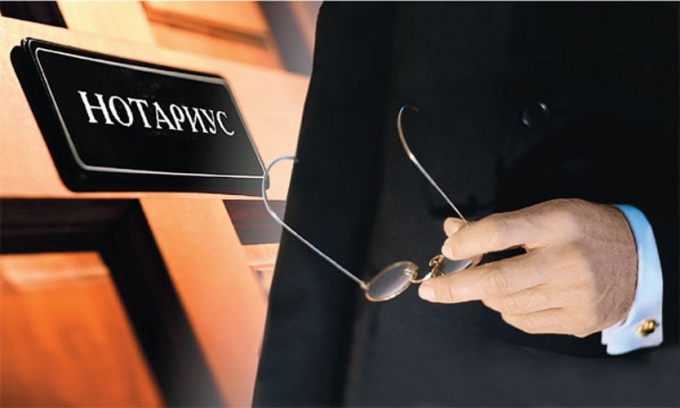 According to article 63 of the Fundamentals of Russian legislation on notaries write the claim of the creditor in the name of the notary. The claim from the lender shall be presented to the hereditary mass of the deceased debtor. Specify in the claim the size of the debt and its causes. The notary will review your claim to the opened crown mass. If the notary has a will for the estate of a deceased or within the statutory six-month period for acceptance of inheritance up heirs at law, in response to the claim, the notary, in writing, inform the creditors about the existence of heirs. Will also be given information about the detected objects inheritance, and which should in the future pay the monetary penalty on the debt. Objects inheritance can log in movable and immovable property of the testator, as well as cash in Bank accounts. In the absence of announced heirs at the expiration of six months from the death of the debtor, on the basis of submitted claim, the notary is obliged to have a hereditary thing. Thus, the recovery will also be paid to the estate of a deceased person. Liability for the debts of the testator can't be directed to relatives of the debtor, if they did not become heirs of his property. Dispose of the same on his property, the testator may bequest in favour of strangers. So to find out who is the heir of the property and debts of the deceased only the above mentioned way. In addition, in accordance with article 1175 of the civil code, the creditors can file a lawsuit to ensure their rights. Write the statement of claim, where the defendant will be made by the notary in charge of the inheritance of the deceased debtor. Specify which claims apply to inheritance of property of the debtor. Upon detection of the heirs at law or testamentary requirements can be diverted to them as proper defendants. Along with the claim provide to the court documentary evidence of the debt of the deceased testator. The court determines the heirs and give to each his share of the debt in accordance with the portion of the inheritance. With the death of a person his property in accordance with the law, become the property of the heirs. However, to ensure this fact, there is a certain procedure – the opening of the hereditary cases. In the framework of each heir need to claim their rights no later than the deadline. All hereditary actions are performed by the notary at the place of residence of the testator. Since the death of the testator begins the countdown of the statutory six months for acceptance of the inheritance. During this period, collect the documents necessary for the notary. In bodies the registry office, take the certificate of death of the testator, and in the passport office the excerpt from the book on permanent registration of the deceased at the date of death. To confirm the status of the heir, you will need to have a will in your name or, if you inherit under the law, the documents proving your relationship to the testator. In this case typically provided certificates of registration of marriage, birth and, if necessary, other documents. In this case, note that if there is a discrepancy you have in different documents names, you need to have on hand, in addition to the registration certificate of marriage, certificate of name change. Make copies of all collected documents. According to the article 1115 of the civil code, the place of opening the inheritance shall be the place of residence (registration) of the testator at the time of his death. Learn what a notary public serves a portion of the territory. Before the expiration of six months the term of acceptance of inheritance notary to come to the reception with a full package of documents. Write a notary two statements about opening of the inheritance and of the inheritance to you personally. Give him those documents and your passport. 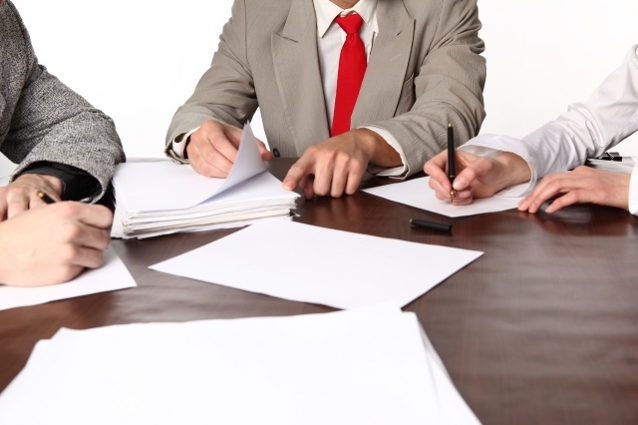 At this point the notary is in fact your first application must open a probate case. And after six months from the death of the testator, when all heirs turned up to claim their rights, the notary will issue you a certificate of acceptance of the inheritance. This document will reflect the amount you share in the assets of the deceased, in whatever form it is not expressed. If for any reason you do not have time to gather all the necessary documents to the expiry of the time limit, give only the notary statement at the opening of the hereditary cases and the acceptance of the inheritance. This is necessary to preserve your right to the inheritance.